Mount Ommaney Hotel Apts is located only 15 minutes from the Brisbane CBD and within close proximity to the western industrial corridor. The hotel offers a choice of quality motel rooms or self contained suites a superb a-la-carte restaurant, cocktail bar, conference facilities, swimming pool and full sized tennis court. In addition the hotel is conveniently located to the MT Ommaney Shopping centre, golf courses, bowls clubs, local gyms and jogging tracks. 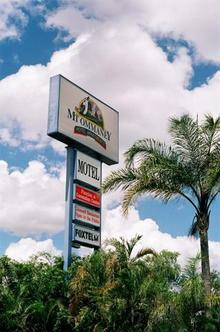 Formerly known as Mt Ommaney Lodge and Mt Ommaney Plaza Hotel.